This financial independence calculator is about as close as you can get to having a crystal ball around your financial future. At first glance, it might appear to be a boring, old “what year can I retire” calculator that is fairly static and leads to disappointment. However, if you will invest time learning how to use this retirement planning calculator (and I will teach you), you will quickly discover something truly empowering – unexpected secrets to your unique path to financial independence. One key feature that this financial independence number calculator possesses (that others do not) is the power of adding in post-retirement income streams. (Even small, passive income streams can make dreamy scenarios like early retirement or working part-time possible). It also allows for a few more nifty functions that make it blow other retirement planning calculators out of the water – namely, allowing for possible inheritances, adjusting for inflation, allowing for annual income stream increases, and more. You finally have the ability to see how the pieces fit together – and you can calculate it yourself whenever YOU want! I LOVE playing with this calculator and entertaining all sorts of early retirement scenarios. It gives me so much clarity on where we stand, what our gaps would be in different scenarios, and how post-retirement income streams could change everything. I hope you will stick with it long enough to fully understand it’s power and what is possible for you. And, if you want to learn, step-by-step how to use it, you can click here to learn more. Once you gather up all your core money numbers, you can begin playing with all sorts of scenarios and have answers in 3 minutes, or less. Trust me, it is SUPER eye-opening and very empowering. By the way, PLEASE SHARE this calculator with your mother, your sister, your best friend and your favorite colleague at work. 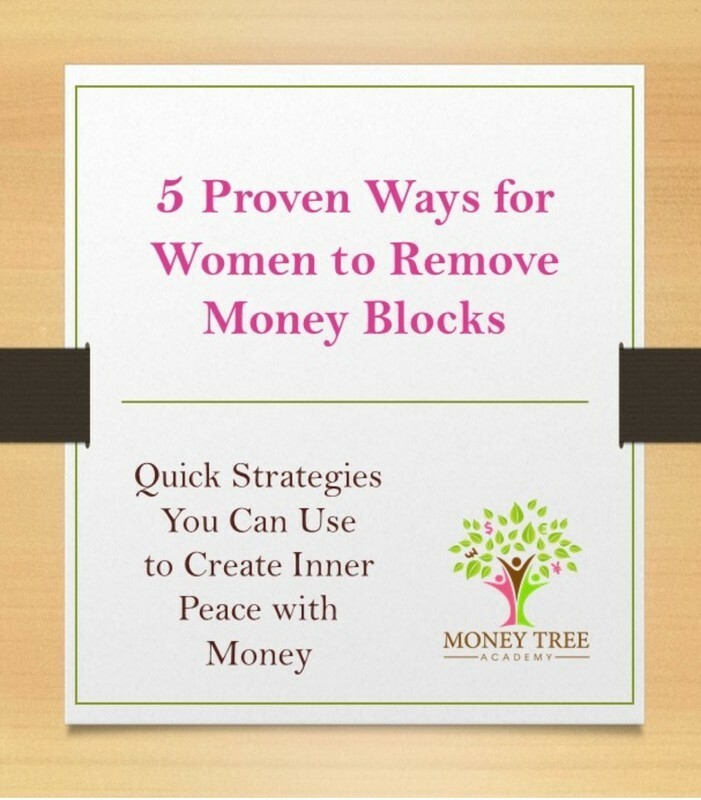 The more women can gain control over their own financial futures, the better your personal world and the world around you will be! p.s. Got Questions? Ask them in the comments section below the calculator. This calculator will help you to estimate the amount of money you will need to have saved by retirement age in order to meet your desired retirement income goals — along with estimating how much you need to be setting aside now in order to fully fund your plan. You have the option of factoring in inflation, up to three post-retirement incomes, and a one-time benefit (sale of home, etc.). 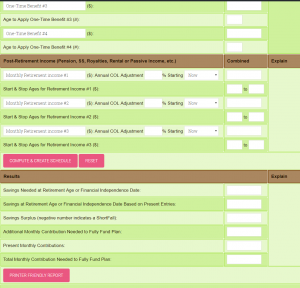 You can also print out retirement planning reports for any number of what-if scenarios. Clicking in any field will display help and special instructions in the right-hand column. Retirement Income #1: If you expect this retirement income to receive an annual COLA (Cost of Living Adjustment), choose when the annual COLA should begin.